Rules of etiquette should be followed when addressing graduation announcements. 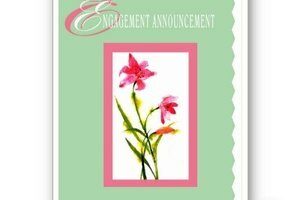 When addressing announcements for a graduation of any type, it is customary to follow certain rules of etiquette. A graduation serves as a rite of passage in a person's life, since it marks the completion of an endeavor that is often -- but not always -- scholarly in nature. 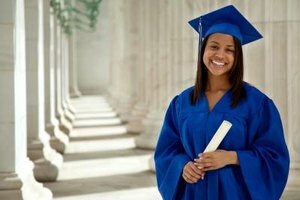 It is an achievement considered worthy of acknowledgement, which is why many graduates send out announcements to inform family and friends of their accomplishment and in some cases to join them in celebration. 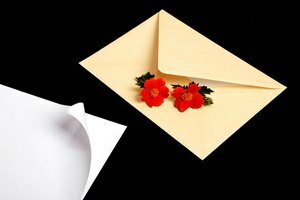 Graduation announcements and invitations typically consist on an outer envelope with the name and address of the person or persons to whom the announcement is being sent as well as the return address of the person making the announcement. This envelope should be addressed formally, because it is the first part of the invitation that will be seen once received, and postal workers must rely on the address to ensure that the announcement reaches its destination. The address on the envelope should be legibly handwritten in either blue or black ink. The return address can either be handwritten also or posted using printed labels. Do not use abbreviations for words such as “street” or “lane” -- spell them out. 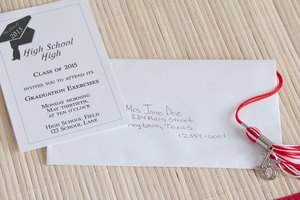 Titles such as “Dr.,” “Mr.,” “Mrs.” and “Ms.” should be used on the outer envelope of the graduation announcement to accompany the first and last names of the recipients. Understand which titles and names are to be used in various situations. For example, for a male, it is acceptable to simply refer to him by his proper title -- most commonly “Mr.” -- followed by his first and last name. The inner envelope contains the actual graduation announcement. It should also bear the names of the recipients but it can do so more informally. 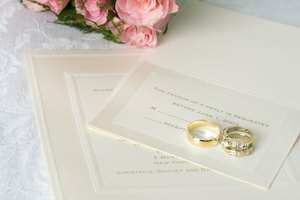 It is perfectly acceptable to simply address the back of the inner envelope to say, “Grandma and Grandpa,” “Uncle Bob” or “Ron and Barbara,” and it should be handwritten. Wilkins, Alice. 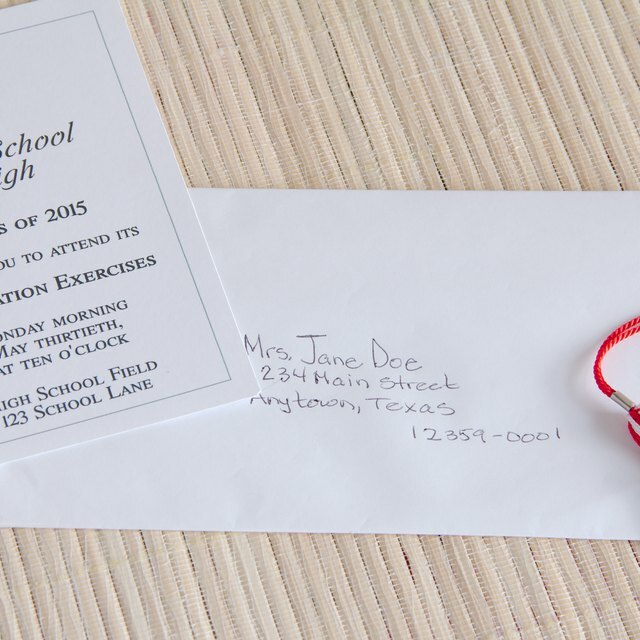 "How to Address Graduation Announcements." Synonym, https://classroom.synonym.com/how-to-address-graduation-announcements-12081556.html. 29 September 2017.